On the night of October 18, 1952, Wray Downes of Toronto was playing piano at the Saile Playei in Paris as a member of trumpater Bill Coleman’s Swing Stars, alongside the likes of trombonist Dickie Wells and drummer Zutty Singleton. The concert was taped, and the resulting re;lease stands as Downes’ first appearance on record. He was 21. It would be 25 years before Downes would make his second appearance on a jazz recording, having returned to Canada in 1956 and to Toronto in 1958. That record was drummer Pete Magadini’s Bones Blues from 1977. Now, and finally, Wray Downes, at 50 one of Canada’s premiere jazz musicians, has the first record he can call his own: Au Privave, a joint effort with bassist Dave Young, released recently by the local label, Sackville. It’s a collection of solos, duets and, with guitarist Ed Bickert as a guest, trios. Its elegant, full of heart and depth. It’s also about time. 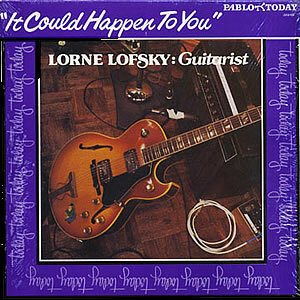 Wray Downes’ experience makes the story behind the first record of Toronto guitarist Lorne Lofsky, It Could Happen to You, for the important California label Pablo, all the more remarkable. 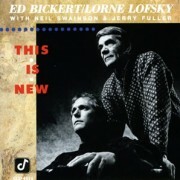 What happened to Lofsky rarely happens to Canadian jazz musicians. In 1979, Lofsky was making good impression on his elders, including Ed Bickert (in whose place he played on occasion with the same Wray Downes and Dave Young; it’s a small world). On Bickert’s recommendation, he got a week’s worth of work with alto saxophonist Jerry Toth at George’s Spaghetti House. Sometime later, a year ago last Wednesday to be exact, Peterson himself to Lofsky, bassist Kieran Overs and drummer Joe Bendzsa into a Toronto studio and, in five hours, cut the guitarist’s first record. Lofsky was 25. Like Downes’ LP, Lofsky’s appeared in Toronto stores late last month (following its release in the United States earlier this year). At that rate – two albums a month – there would be an unlikely 24 new records by Canadian jazz musicians by year’s end. In truth, half that many would signal a good year in a country where “best-selling” figures for a record by a domestic jazz musician are in the neighborhood of 5,000, and an average seller might reach 2,000 after a few years on the market. The ledger for 1981 looks like this: on the debit side, sets from last December by the Boss Brass (recorded at The El Mocambo) and by the Ed Bickert/Don Thompson duo have hit snags, and the planned second album by the Michael Stuart/Keith Blackley band was shelved in January and the band itself folded soon after. On the credit side, Montreal’s Bug Alley is doing reasonably well in the United States; Toronto’s Shox Johnson and the Jive Bombers are due any day with their first (the only project from last December to be realized); and a new Toronto label, Innovation, affiliated with the McClear Place Studios, has records by tenorman Eugene Amaro and singer Ivy Steele almost in place. Guitarist Rob Carroll recorded for New York’s Inner City recently, and another local guitarist Ken Ramm, has had an album awaiting U.S. release for quite some time. Meanwhile pianists Eric Harry and Richard Whitehouse have tapes all ready to go, and saxophonist Ron Allen took the situation a step further to produce his own album, Leftovers, for his own Black Silk label. It’s doing well in Vancouver, he reports, but already it is out of date; the band that he leads with bassist David Piltch, currently called I.D. is already on to something else. 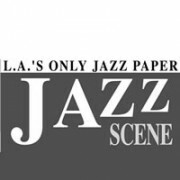 It is one of the prices a creative jazz musician pays in Canada: to move at all is to move faster than the recording industry. Downes is as usual incommunicado – this is an intensely private man – but a year ago he offered a philosophical explanation of his career. The explanation, together with the nature of the jazz recording industry in Canada, puts AU Privave into perspective. “I’ve always thought of myself as a late bloomer, and I’ve never been one to get out there and do something before I’m ready to do it.” At this point, the cast of his art has set and hardened, and for once it is on display, but probably too late to alter the direction of his career, whether he’s ready or not. A year later, and Lofsky is back at George’s, where it all started. His trio closed there Saturday night, and he stays on to play for Jerry Toth this week. The release of It Could Happen to You hasn’t yet brought him anything new, locally, save some airplay and one negative review (hwich is balanced by generally positive reaction south of the border). It’s a start, and the timing is right. He is already half a life ahead of Wray Downes.